In any personal injury case, the injured victim must prove that the other person was negligent in some way. Negligence refers to the failure to exercise reasonable car for the safety of others. In some personal injury cases, negligence is disputed by the defendant or the insurance company. So what happens then? Suppose a pedestrian is walking at a crosswalk when he steps out into the roadway and is struck by a speeding vehicle. If the pedestrian had looked both ways, he could have seen the vehicle coming in his direction. However, he may not have had time to react because of the vehicle speed. The pedestrian’s case is worth $100,000.00. Suppose further that a jury determines the pedestrian to be 20% at fault for his injuries. His case value is reduced by 20% and instead of receiving $100,000.00 he will receive $80,000.00 to account for his role in the accident. Many states across the country have adopted versions of comparative negligence laws to address situations where personal injury victims have contributed to their own injuries. 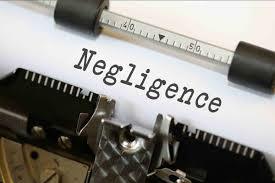 Under Massachusetts’ comparative negligence law, personal injury victims cannot recover compensation if their negligence is greater than that of the defendant. Therefore, assume in our example above that the jury decided the pedestrian was 51% negligent. In that scenario, the driver would win the trial and the pedestrian would recover nothing for their injuries. In other states, a law of contributory negligence is followed. Contributory negligence is a very harsh law which states that if the injured is even 1% at fault for the accident then they cannot recover anything. in Massachusetts, our comparative negligence laws are therefore much more fair to plaintiffs than negligence laws in some other states. In Massachusetts, the Defendant must prove that the injured party was negligent and that their negligence resulted in their own injuries. The Plaintiff must show that the negligence of the Defendant contributed to the injuries sustained. In Massachusetts, the total negligence of all Defendants in a multiple Defendant trial must equal 100%. Many Plaintiff”s attorneys, therefore, will choose not to settle with any one Defendant prior to trial and will bring all Defendants to trial for a determination of negligence. Negligence laws are very complicated and require the assistance of an experienced attorney to navigate. If you have been injured in a crash, the insurance company may try to say you were negligent. This can reduce or eliminate the total value of your case. If you are faced with this situation, please contact our office right away. At the Law Offices of Jeffrey S. Glassman, our team is well-versed in Massachusetts negligence law and we can help guide you through to ensure that your case is not harmed in any way. For a free consultation, call us today at 617-367-2900.